Singapore, Monday – The world’s largest palm oil trader, Wilmar International, has published a detailed action plan to map and monitor all of its suppliers. If implemented, this would put the palm oil giant, which supplies 40% of the world’s palm oil, one step closer to finally eliminating deforestation from its supply chain and would have a major impact on the rest of the industry. “Wilmar supplies palm oil to most of the world’s major food and cosmetics brands. So today’s announcement is a potential breakthrough. If Wilmar keeps its word, by the end of 2019 it will be using satellites to monitor all of its palm oil suppliers, making it almost impossible for them to get away with forest destruction. Greenpeace will be watching closely to make sure Wilmar delivers,” said Kiki Taufik, Global Head of Indonesian Forests Campaign, Greenpeace Southeast Asia. 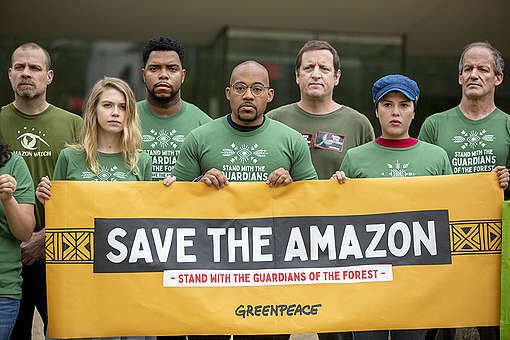 The move follows an intensive global campaign by Greenpeace that aimed to end deforestation for palm oil across the supply chain of the biggest household brands and palm oil buyers in the world. Over 1.3 million people signed a Greenpeace petition calling for an end to deforestation for palm oil. In the past three months, activists occupied Wilmar’s refinery in Indonesia and twice boarded a tanker ship carrying Wilmar’s palm oil products. Greenpeace Italy blockaded the factory of one of its major customers, Mondelez (owner of Oreo, Cadbury and Ritz). Activists across the world also brought scenes of forest destruction to Mondelez HQs around the world. Greenpeace is now pausing its campaign to give Wilmar space to put this plan into action. Forest destruction for commodity production is fuelling a climate and extinction crisis. Scientists warn that keeping global warming below a 1.5ºC rise means ending deforestation and restoring forests. Brands and traders promised to clean up their supply chains by 2020. However, with less than 400 days to go companies are still failing across the board, in part because traders and their customers failed to gather the maps of their suppliers’ plantations needed to monitor what happens on the ground. Wilmar’s new action plan is designed to address that gap: it commits Wilmar to map its suppliers’ entire landbank by the end of 2019, including concessions from which it does not yet source, and to use high-resolution satellite monitoring to check for deforestation. Companies caught clearing rainforest are to be immediately suspended. Wilmar’s announcement puts pressure on the rest of the sector, including other major commodities traders like Golden Agri Resources and Musim Mas that also source palm oil from forest destroyers. Household brands like Mondelez, Nestlé and Unilever, source from many different suppliers and have a responsibility to see equivalent commitments rolled out across the industry. “As the world wakes up to the climate and extinction crisis, inaction is not an option. Wilmar has taken an important step and must now put its plan into action immediately. Stopping deforestation requires industry-wide action. Other traders and brands must now follow with credible plans to map and monitor all of their suppliers. Equally important is action to end exploitation and human rights abuses in the palm oil sector,” said Taufik. In December 2010, members of the Consumer Goods Forum, an industry association comprising 450 of the biggest consumer-facing brands, committed to eliminate deforestation from their supply chains of agricultural commodities by 2020, including cattle, palm oil, pulp and soya products. In December 2013, Wilmar became the first palm oil trader to adopt a ‘no deforestation, no peat, no exploitation’ policy that applied to its own plantations and those of its suppliers. By the end of 2014, all major palm oil traders had adopted similar policies. Yet deforestation for palm oil continues because traders and their customers lack the maps needed to monitor what happens on the ground. In September, Greenpeace Southeast Asia activists occupied Wilmar’s palm oil refinery on the Indonesian island of Sulawesi with a rock band and street artists painted murals in cities around the world to highlight the threat to birds of paradise. In November, activists twice boarded and delayed a tanker ship loaded with Wilmar’s palm oil products. Protests also took place at Mondelez offices in Italy, Germany, the UK and the USA, and street activities in 8 countries. Evidence against Wilmar and Mondelez was documented in a series of reports, including June’s Rogue Trader, September’s Final Countdown and November’s Dying for a Cookie. Greenpeace has campaigned to end deforestation for palm oil since 2007. Half of the Bornean orangutan population has been wiped out in just 16 years, with habitat destruction by the palm oil industry a leading driver. More than three-quarters of Tesso Nilo national park, home to tigers, orangutans and elephants, has been converted into illegal palm oil plantations. Globally, 193 species classified as Critically Endangered, Endangered and Vulnerable, are threatened by palm oil production. The plantation sector – palm oil and pulp – is the single largest driver of deforestation in Indonesia. Around 24 million hectares of rainforest was destroyed in Indonesia between 1990 and 2015, according to official figures released by the Indonesian government. Tropical deforestation produces more greenhouse gas emissions each year than the entire European Union; outranking every country except the USA and China. In October 2018, the Intergovernmental Panel on Climate Change called for an immediate end to deforestation to limit global temperature rises to 1.5°C. Plantation development is a root cause of Indonesia’s forest and peatland fires. In July 2015, devastating blazes spread in Sumatra, Kalimantan and Papua. These fires produced a haze that affected millions of people across Southeast Asia. Researchers at Harvard and Columbia Universities estimate that the smoke from 2015 Indonesian fires may have caused 100,000 premature deaths. The World Bank calculated the cost of the disaster at US$16bn. Palm oil companies are regularly accused of exploiting workers, children and local communities. Last month, the Roundtable on Sustainable Palm Oil sanctioned two major palm oil companies, Felda Global Ventures and Indofood, following extensive reports of exploitation in their plantations. 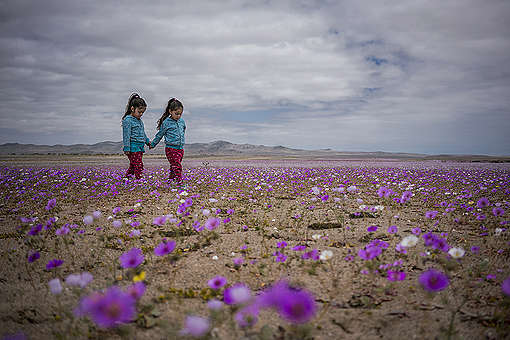 Take a look at some of this unmissable environmental photography, captured by accomplished women from around the globe. A proposed plan for the Arctic railway would cut through our pasture spoiling our nature and fresh water supply. And simultaneously destroying our past, future, and identity. Stop destroying planet and all the species in it! Alstublieft, bescherm de longen van de wereld voor het te laat is! Mens en dier hebben bossen nodig om te kunnen overleven!! Bescherm al het mooie op aarde voor het te laat is! Denk aan al de wezens, mens en dier die bossen broodnodig hebben om te kunnen overleven!! Bescherm alstublieft de longen van de wereld voor wij allen ten onder gaan door de hebzucht van sommige mensen!! Say no to palm oil! This palm oil CRAP has got me so pist off. STOP THIS DESTROYING!!! Hi, I am so glad and thankfull fr what Greenpeace is doing allarond the world. I wish I could do more, but I am not healthy enough to do things outside my home. 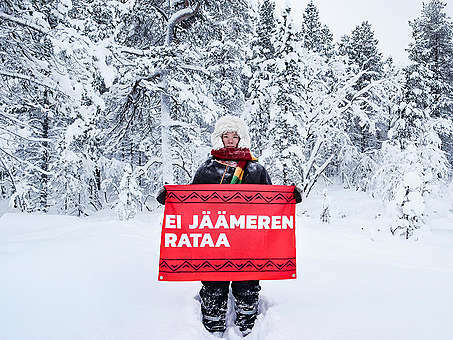 I can support with money and Inthe last four days I have sent 2 x 1000 SEK to Greenpeace. Thats a christmaspresent for my grandchildren. I will be very glad if you could send me 6 of your Christmascards to me. I will give one card to each of my grandchildren. You dont have to write the sum of money on the card. If its short of time, you can send me the card on email. Thankyou and a happy new year 2019! Happy New Year from us at Greenpeace International. Kindly do the needful not to screw the Planet and its beloved anymore. I agree. Let’s stop the palm oil usage from Indonesia. Animals are here WITH us, not FOR us. Thank you for protecting them. All Greenpeace employees should be vegan. I hope they are. Stop rain forests devastation, save animals and nature! Stop destroying the planet! Say no to palm oil! STOO DESTROYING THE EARTH & EVERYTHING IN IT. LEAVE NATURE ALONE! ID LIKE TO BULLDOZE YOUR HOMES & SEE HOW YOU ADAPT TO THAT. GIVE YOU A TASTE OF YOUR OWN. TRY LIVING IN RUINS! PROTECT OUR EARTH, STOP DESTROYING IT! We are all responsible for this planet and all of it's inhabitants. Stop destroying the planet! It's home of all living beings.. Protect it!! Leave this beauties alone. We all share this one planet. Thats all we get. Your cooperation is so important I always donate to you guys whenever I can. Let's put a stop to deforestation, and let's do it now! Stop destroying planet and all the species in it!!!! There are other alternatives rather than palm oil. By destroying our forests , you are endangering species and taking away our source of oxygen. Why be greedy for money when our planet is suffering. Whe need to breathe! We need the trees, we need nature! It is more then poetry: it is survival and decent. Your Rang-Tan in my bedroom advertisement really touched me and helped me to further understand how hurtful the human race can be to the poor animals in the fast decreasing forests in our world. I will do anything in my power to save these poor animals form our selfishness. Thank you for opening my eyes. We all need to take care of the planet and environment but without action being taken but global corporations and governments then the efforts of individuals will help but it won't be enough. We only have one planet for humans to exist on. It's a beautiful and amazing place and once it's gone then so are we.